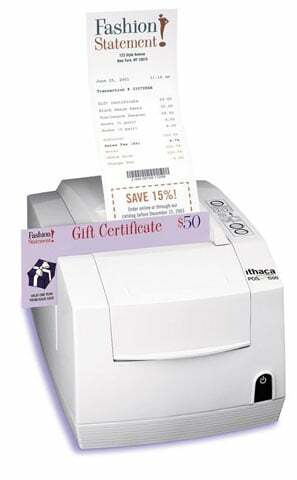 Ithaca POSjet 1500 - Inkjet, two-color, receipt & validation printing, 12 lps, parallel interface. Includes tear bar, check printing capability, black ink cartridge & power supply. Order cables separately. See accessories. Color: white. 3.25" x 125' 2 PLY CARBONLESS ROLL, 50 rolls/case. The Ithaca PJ15-P-1 is also known as Transact Ithaca	ITH-PJ15-P-1	or PJ15P1	.